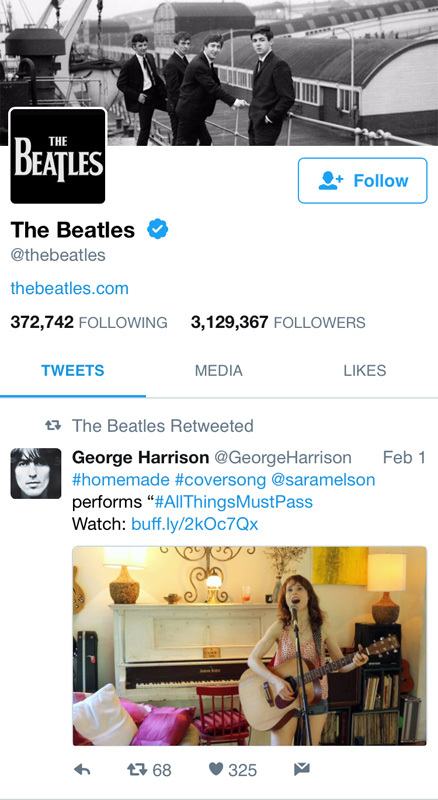 The George Harrison estate tweeted my live cover version of “All Things Must Pass”, and then The Beatles re-tweeted it! This epic song, dear to my heart, has always meant the world to me. It soothes and inspires me with its wisdom and truth… So it is extra meaningful for me that my interpretation of it has met with the ultimate approval! Previous post: Included in PopDose.com’s ‘Best Albums of 2016’!